People often get confused between a UPS and an inverter. Though both serve the same purposes yet there are marked differences in the construct and other aspects between both these equipment. Before we delve to find the difference, it makes sense to understand the basics of these equipments. UPS stands for Uninterrupted Power Supply. In other words, this equipment will supply power to the gadgets in times of power outages. UPS Chennai dealer offer supplies that works for computers, printers and workstations. Power outages are very common in several parts of the country and these not only shorten the shelf life of gadgets but are also a source of harassment for those working on them. Imagine all your hard work of several hours going down the drain owing to power outage, simply because you have not been saving the same every few minutes. To save themselves and gadgets from this ever recurring problem of power losses, people buy equipment that helps in this ordeal, UPS being one amongst them. UPS restores the power supply almost instantaneously in times of outages. Not only this, it also saves the gadgets from power spikes and frequent fluctuations. That ways, UPS helps in extending shelf life of such expensive gadgets and equipments. The inverter has derived its name from the fact that it inverts the power supply from DC to AC and with the help of a battery, supplies power to the electrical points in times of power outages. It is to be born in mind that simply installing the inverter will not help you out; you will have to install batteries as well, depending upon your requirements. When the inverter inverts the direct current into alternate current, it charges the batteries and in time of power outages, the battery supplies the requisite power. Change over time: UPS work faster than the inverters here. UPS changes over in 3 to 8 milliseconds; inverters take about 500 milliseconds. Backup time: Since inverters are supported by large batteries, their back up time is much longer than that of UPS. Applications: UPS are generally used for computers, servers, network switches, and workstations, medical and processing equipments that perform critical tasks. The inverters can be used for any general electrical appliances. Protection: UPS protects against voltage fluctuations including high spikes and drops whereas inverters do not offer any such protection. Batteries: UPS come with sealed maintenance-free batteries whereas inverters are paired with tubular batteries. Chennai alike several other cities of the country, faces frequent problems of power loss. Life comes to a halt in times of power outages, especially in commercial sector. It therefore makes sense to invest in back ups like inverters and UPS that help in going about the tasks unhindered. Both inverters and inverters are easily available everywhere but the right selection of brands matter. If you stay in Chennai, Google searching for UPS for home in Chennai or best inverter in Chennai you will be confronted with many answers. If you are confused with brands, read the reviews and get quick answers to your queries. 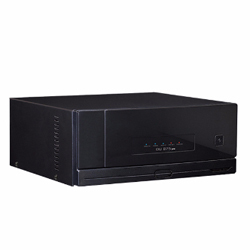 Like all other equipments, both UPS and inverters come with a shelf life and need proper upkeep. There are local maintenance service providers available to handle any repairs or replacement of parts. Sourcing inverters and UPS from the local manufacturers that have lesser known brands may prove to be costly in the long run with anomalies and poor customer care services. 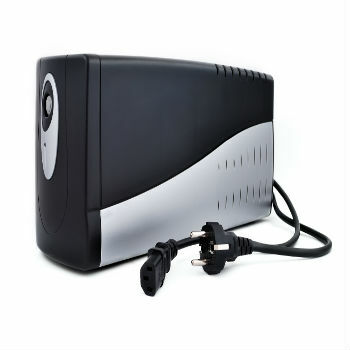 There are several avant-garde UPS and inverter in Chennai who can help you in the process. Whether for home or commercial purpose, the leading names like Nantech offer you excellent products, customer care services and extended warranties too.